Orestone Manor has a reputation as being one of Devon's most sought after venues for civil wedding ceremonies and receptions. Contact us now to arrange a personal viewing and also to check availability. With it's elegant restaurant, intimate bar and lounge, private dining room and beautiful lush grounds, the Orestone has to be one of the most memorable places to visit in Devon - perfect for your dream wedding / civil ceremony, birthday, anniversary, christening or just for a party! 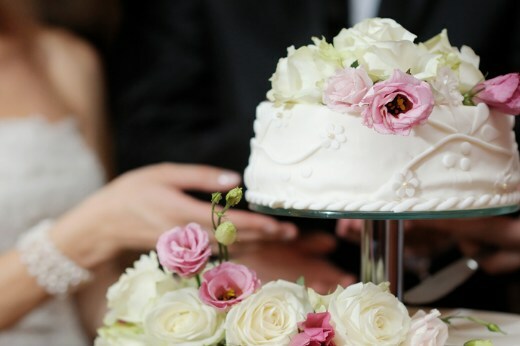 The Orestone is licensed to hold your wedding / civil ceremony service as well as your reception. We also offer a full co-ordination service if required, allowing you to relax and look forward to your big day. We are here to make your occasion as special as we can, for you and your guests. Please contact a member of our friendly, experienced team for more details. We have various options available to you, including your very own private dining room for 20 guests.The restaurant can seat up to 90 guests and we can accomodate up to 120 guests for an informal buffet and evening reception. The Manor House can also be booked on an exclusive use basis. NEED YOUR DONE BEFORE THE WEDDING? All our stylists attend courses to keep up to date with the latest styles and techniques-and Kirsty and Sharon welcome all clients to the salon. Whether it's trimming those dry ends, or a new style you're after -our stylists are on hand to cater to your every need. The Fountain for Health are pleased to offer a range of complementary therapies provided by a team of skilled, qualified and highly regarded practitioners. Treatments take place within calm, tranquil surroundingsThe expertise and experience of our practitioners will enable you to maintain and improve your health and well being, manage stress and aid your recovery from illness and injury.We are fortunate that many of our practitioners have over 20 years experience in their field. 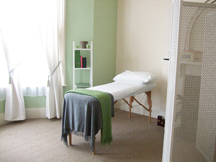 Therapies available include:Acupuncture * Aromatherapy * Bowen Technique * Chiropody & Podiatry * Counseling * Cranio Sacral Therapy * Food Intolerance Testing * Healing * Homeopathy * Hopi Ear Candling * Hypnotherapy * Indian Head Massage * Massage in Pregnancy * Massage/Remedial Massage * Metamorphic Technique * Pilates * Reflexology * Reiki * Seated Acupuncture Massage * Specialist Baby Massage and classes (please call) * Sports Massage * YogaPlease call and visit us in The Triangle where we have beautiful clothes, accessories and jewelery on sale in the shop. ENJOY A PROPER CUP OF TEA JUST AS IT SHOULD BE! All served on our beautiful vintage china and complete the experience with a slice of our delicious home-made cake, or for the ultimate decadence, a delicious proper Devonshire Cream Tea. If this wasn't enough, all our staff are dressed in 30s/40s style and you will be surrounded by the ambience of the era complete with music played on our gramophone all in our lovely recreated tea room. All of us at The Vintage Tea Traveller love to chat and make guests feel welcome and special, and we make a great pot of tea too! Being a travelling tea room, we are willing to travel anywhere and are a great idea for a wedding, christening, birthday, summer ball, festival, in fact you name it and we can come! Search Shaldon Hotels, Bed & Breakfasts, Guest Houses and Self Catering Accommodation.